Hippohelp Work Exchange - Work, travel and live with the locals, all for free! Hippohelp is a free map-based work exchange platform connecting hosts from all over the world with travellers who are happy to work in exchange for free food and accommodation. Hippohelp is all about cultural exchange, making new friends and enabling alternative ways of living. 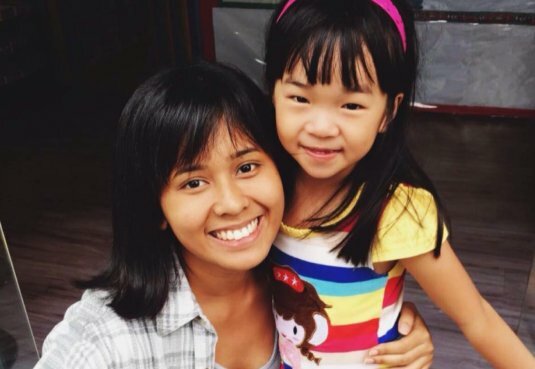 Need some help with those projects that never gets done, or are you eager to travel the world? Then join us today! Check the map for hostmarkers. Check the details of a marker. If it's something for you, send a request. Pack the bags and visit your new host! Our travelling members are open minded people interested in cultural exchange and saving on their expenses while working and travelling around the world. They are willing to do a few hours of free work per day while living and eating for free. After travelling the world they will have a whole new set of skills, and let's not even start speaking of all the new memories. The typical visit at a host can be anywhere from a few days to several months. Hosts from all over the globe are getting free help on their projects, while the same time meeting interesting personalities from the comfort of their own home. Hosts on our platform post all kinds of exciting volunteer opportunities, spanning from a few weeks to several months, or even on an ongoing basis. Some examples might include eco-building, childcare, language learning, gardening, web design or general help around the farm. Hippohelp is free for all members, it doesn't matter if you travel alone or in pairs. Just make sure that your host benefits from the exchange as much as you do. So provide honest work and try to not be too shy! It couldn't be any easier! Plan your route in advance by contacting hosts who fit your travelling plans. Simply drag the map to an interesting area, check for markers representing volunteer opportunities and send a request. You can also save markers as favourites and come back to them later. Place a travelling marker on the map, with details about you and the dates you plan on going to a particular place. A great way of hooking up with hosts or other travellers. Make a difference in other people's lives and be more than a tourist. Check what other people have to say about the host you plan on visiting, check photos of their home, or take a look at their Facebook profile. It's all only a click away from their public profile. Many of the hosts using our platform offer recurring jobs. Once you've left a host save them as a favourite and revisit them later! More information for hippohelpers can be found here! Can it get any better? Using Hippohelp you will reach enthusiastic travellers with a wide range of skills who all work for free in exchange for food and shelter. The platform is also completely free to use. It does not matter if you need help with learning English, or help with the horses, you will most likely find the perfect match here. Just make sure to socialise a bit with your helpers and you'll soon have new friends from across the globe! Just place a marker on the map specifying what you need help with together with some basic information about your arrangements and you're done! All travellers interested in going to your area will see your marker and details. Travellers can also place markers on the map with information on what tasks they are willing to do and how long they will be staying. This gives you a great opportunity to reach out to volunteers who might be interested in your project. Meeting new people from places far away is usually something associated with travelling. But it doesn't have to be! Meet people from all over the globe to exchange stories with, all from the comfort of your own home. Meeting people from far away will also give you a reason to revisit your own town! Travellers are generally open minded people with a lot of ideas and experiences. Use this opportunity to get some input on your new eco-project from the volunteers, while at the same time improving your second language. The possibilities are endless. More information for hippohosts can be found here! Hi! 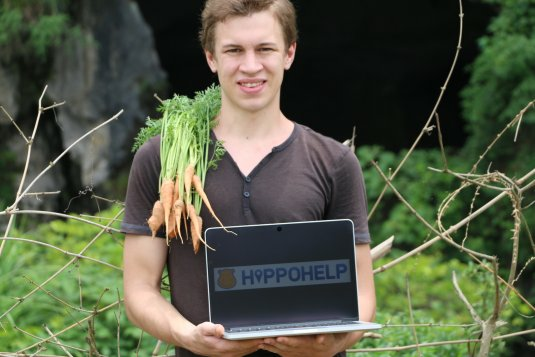 I'm Leopold, the creator of Hippohelp. I got the Hippohelp idea when developing a small piece of land with my wife in Guilin, China. Since Guilin is a popular spot for backpackers I figured that some of them might want to help us out, in exchange for free food and accommodation in return. 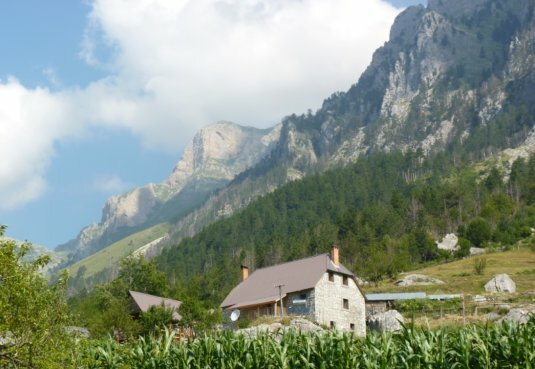 I looked up websites that could help us with finding travellers, but since I found that they were either too outdated, too expensive, or too complicated I decided to create a free and modern alternative myself. My goal with Hippohelp is to spread the work exchange idea, and making more people discover alternative ways of living. In a world that is getting more and more hostile towards foreign cultures and people I also want to use Hippohelp as a way of promoting cultural exchange. You can also read more about Leopold and the story behind Hippohelp here! PS: Hippohelp launched in May 2017, so the platform is still relatively new. If you want to help our growing community then click here to share Hippohelp on Facebook! Each thumb can have a short description with a transparent background under it or a media icon which represents a link, video or image, this are visible when the mouse is over a thumbnail, the text can be formatted with CSS, the background color and opacity also can be modified. THUMBNAILS DESCRIPTION OR MEDIA ICONS. When a thumbnail is pressed the grid can open a browser window or the lighbox. When a thumbnail is pressed you can choose either to display an original media lightbox which we have coded, or to open a new webpage, the url and target of this webpage can be specified. The lightbox can display images, or can display videos loaded from YouTube or Vimeo. Also you can set up one or more thumbnails so that a new browser page will be opened when they are pressed. The URL and target for this page can be customized. The grid lightbox can load and play videos from youtube or vimeo easely. All you have to do is to include the link from YouTube or Vimeo video that you want to display and the lighbox will display and play your video. The size (width and height) of each video can be set easily. The lightbox can load a HTML page and display it with ease. The lightbox can load a HTML page and display it with ease. All you have to do is to include the link of the HTML page and the lighbox will display it. The HTML page size (width and height) can be easily set.